Canterbury’s kidswear clothing range offers the same quality construction you can expect from our adult apparel, and the Vapodri Challenge Rugby top is no exception. 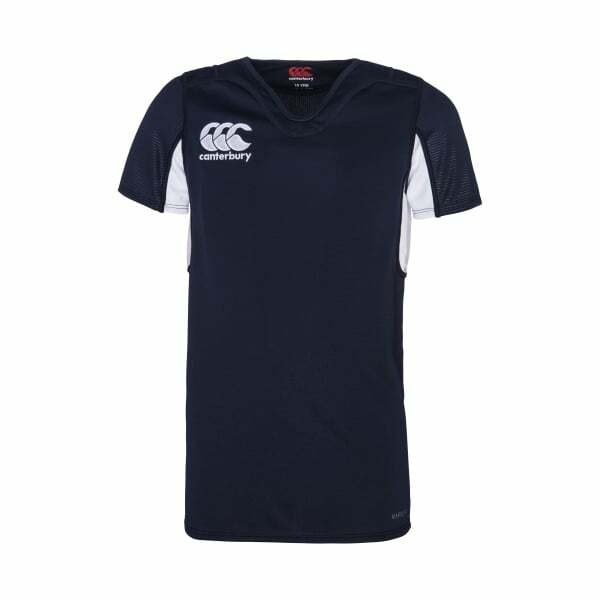 Offering outstanding moisture control through our cutting-edge fabrics, this top will keep little athletes cooler and drier whether they’re training on the field or just having a casual game with mates. The lightweight polyester fabric ensures high breathability, and the pro athletic design provides maximum flexibility and range of movement, so junior athletes are free to perform at their best. With the stylish loop 66 collar, high contrast sleeves, and iconic embroidered branding, kids are sure to stand out when wearing this.